The Freshwater Trust discusses new tools to measure and track environmental benefits from various watershed conservation and restoration projects. The main focus is the StreamBank ‘BasinScout’ suite of tools, which are used to coarsely survey large landscapes and watersheds to estimate the potential for different types of environmental benefits and to prioritize restoration actions. Listen to the recorded webinar from October 14, 2015. We provide an in-depth example of how BasinScout was deployed to underpin a phosphorus trading feasibility analysis in a Lower Boise River subwatershed to meet compliance goals for a regulated wastewater facility, and also how the BasinScout methodology was applied to a groundwater budgeting and trading prototype in the Salinas basin. Alex Johnson has been closely involved in the analysis, development and implementation of some of the first water quality trading programs in the Pacific Northwest. He has deep experience working directly with private and public entities on regulatory issues to build natural compliance solutions. He leads The Freshwater Trust’s role as trading program developer and operator to ensure regulatory compliance with the Clean Water Act, and is intensely familiar with the logistics, costs and contracting necessary to achieve both compliance program success and watershed restoration goals. 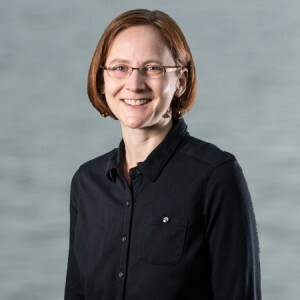 Julia Bond provides key analytical support for water quality trading programs, conservation actions and policy work related to quantifying the environmental benefit of ecosystem services. She has deep experience in lake management, water quality monitoring, nutrient modeling and watershed assessment.